“Eifelheim” is a novel that’s not in a hurry. It’s a multiple course meal that offers helpings of philosophy, science, and religion at a leisurely pace that’s refreshing in today’s hurry-up climate. It was also a Hugo nominee for Best Novel of 2007. The novel takes place in two times. In “Now”, two live-in scientists discuss and compare their findings on seemingly different subjects. One of them is investigating the absence of people in Eifelheim, a German town whose population disappeared during the 14th century. According to calculations of population patterns, this is a mathematical anomaly. The other scientist, a physicist, is trying to figure out why the speed of light is slowing down. That these two things are related is part of the story. In the 14th century, a parish priest named Father Deitrich, who is dealing with the beginnings of the Black Death in his area, experiences first contact with an alien race that appears in his town of Eifelheim. Father Deitrich is a smart, compassionate priest, and, as he considers the aliens God’s children, he befriends them and cares for them as he can. The focus occasionally switches back to the two scientists from “now”, who have conversations that shed light on the happenings in Eifelheim in the past. The main charm of this novel for me was the realistic portrayal of this honorable priest, and his culture. It portrays a medieval religion that was considered the source of all knowledge, and as such, the priest’s logical reasoning makes for compelling listening. To readers who enjoy philosophy and speculative science, and the history of both, it would be hard to find a modern novel more interesting. 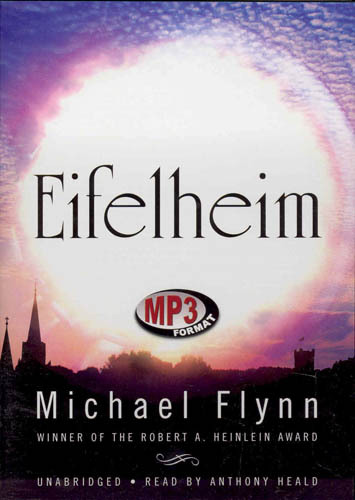 Author Michael Flynn provides historical and physics notes at the end of the novel, and thanks should go out to Blackstone Audio for including them here in the audiobook. 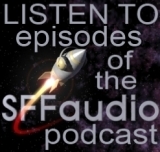 Narrator Anthony Heald does a tremendous job with the narration. He’s an excellent match with the material, handling accents and characters with unobtrusive skill. Choices he made with the alien voices were particularly effective. Recent Arrivals – Blackstone Audio strikes again!